Marsh & McLennan Companies Inc.’s acquisition of London, England-based Jardine Lloyd Thompson Group plc is now complete, New York City-based Marsh & McLennan announced Monday. The deal – which could form the world’s largest commercial property and casualty brokerage – is valued at US$5.6 billion. The agreement, first announced in September, 2018, has been approved by shareholders and regulators on both sides of the Atlantic. Commercial brokerage Marsh Inc., a subsidiary of New York City-based Marsh & McLennan, has several commercial brokerage offices across Canada. So does JLT. 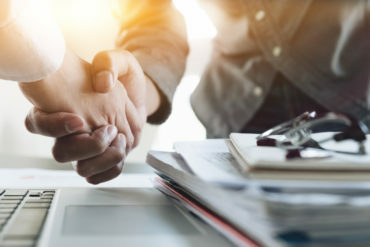 The deal could form “the biggest one or one of the biggest” commercial P&C brokerages in the world, Georges Pigeon, a Montreal-based partner with KPMG’s transaction services group, told Canadian Underwriter earlier. Before Marsh and McLennan bought JLT, the top three commercial P&C brokerages were Aon, Marsh and Willis Towers Watson, in that order, market research firm Finaccord reported earlier. In addition to Marsh, parent firm Marsh and McLennan Companies also owns reinsurance brokerage Guy Carpenter, management consultancy Oliver Wyman and human resources advisory firm Mercer. “JLT brings Marsh & McLennan a significant influx of talent – more than 10,000 colleagues – providing deeper industry expertise in almost every part of the organization,” Marsh & McLennan said Monday in a release. The combined firm is led by Marsh & McLennan CEO Dan Glaser. Former JLT CEO Dominic Burke is now vice chairman of Marsh & McLennan. The combined firm will have the “greatest capability to invest in data, analytics and digital solutions” Glaser stated in November, 2018 when JLT announced its shareholders approved the deal.